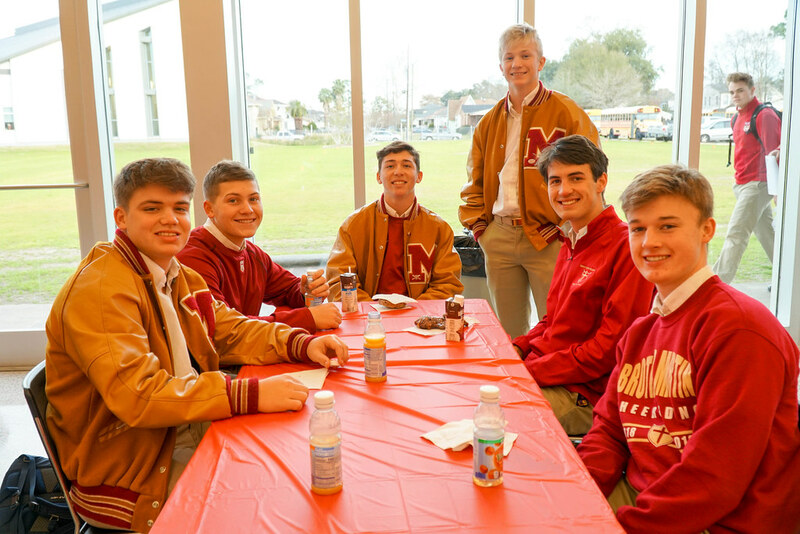 The morning began with a complimentary breakfast in the Brother Mark Thornton Terrace to honor the academic achievement of these students for their first semester grades. 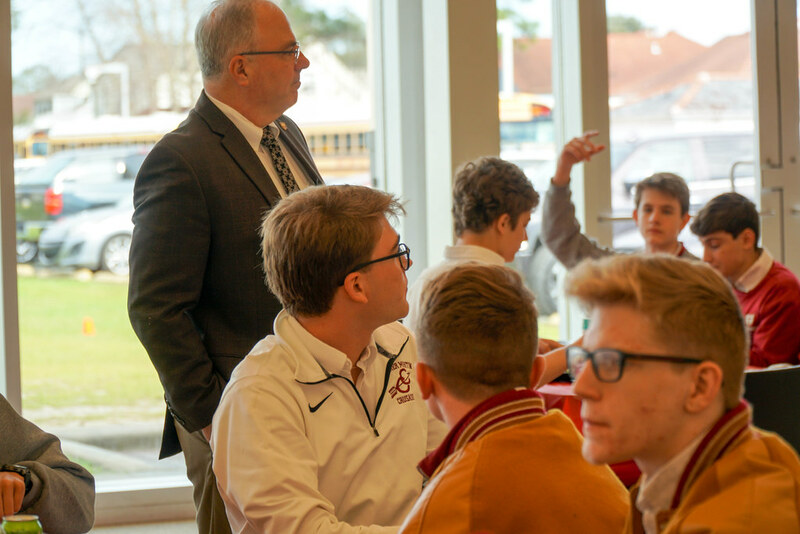 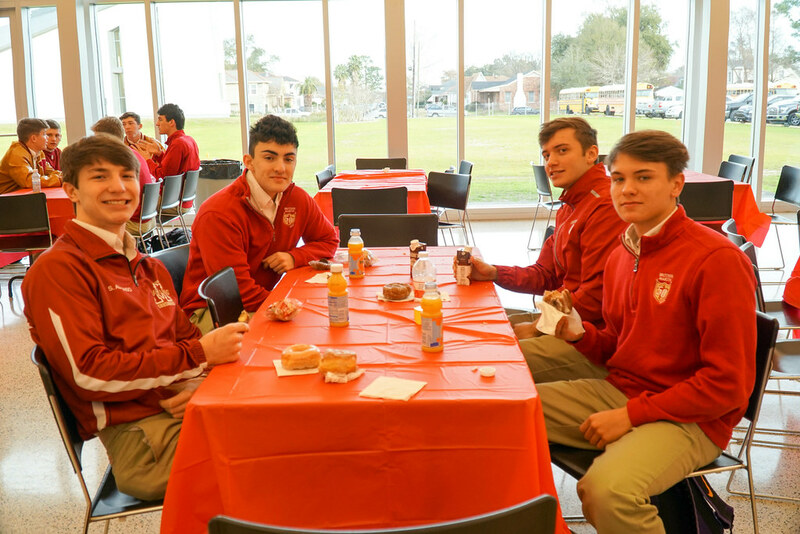 The Alpha/Beta Honor Roll breakfast was held for the Crusaders who earned the Alpha (GPA of 3.50 to 3.99) and the Beta (GPA of a 3.00 to a 3.49) Honor Rolls. 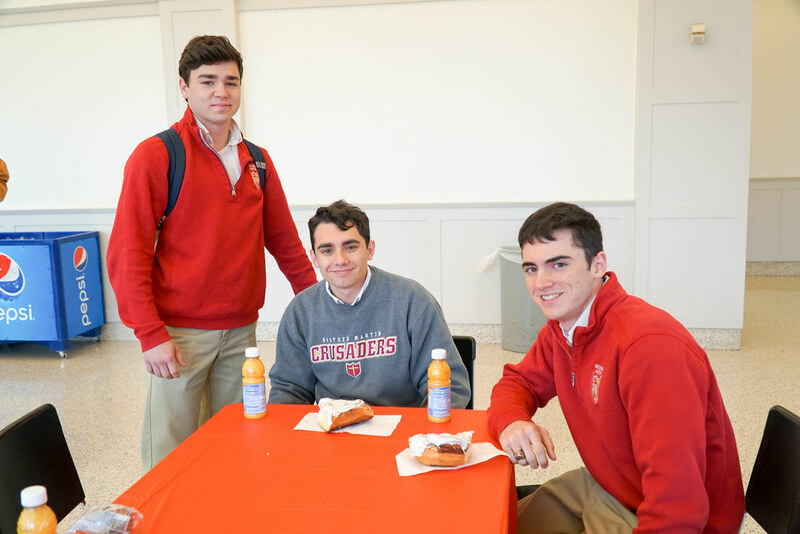 Principal Ryan Gallagher ’00, Mrs. Deborah Broussard, Assistant Principal for Academics, Ms. Kelly Wild, Assistant Principal for Student Services, and President Greg Rando ‘77 greeted the scholars as they enjoyed their pastries, donuts, juice, and milk. 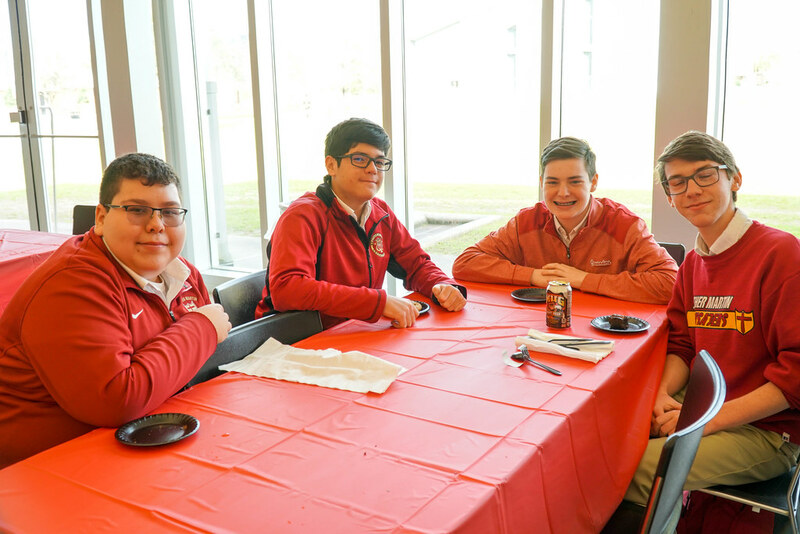 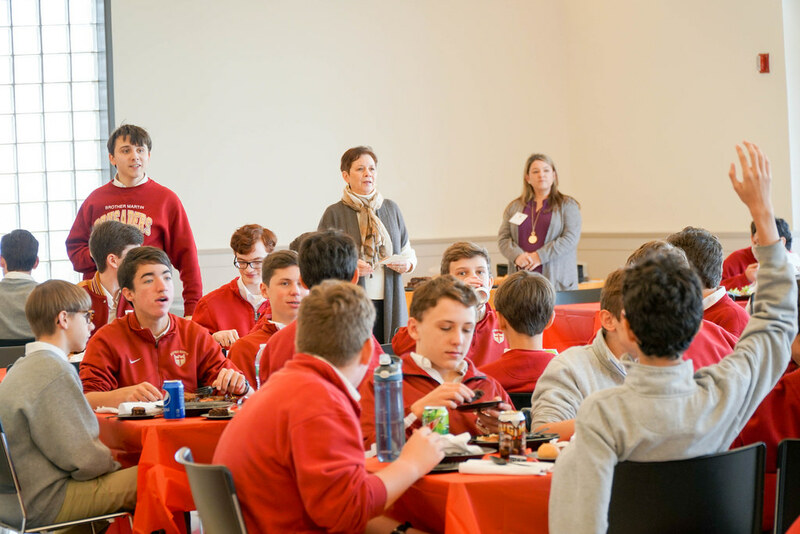 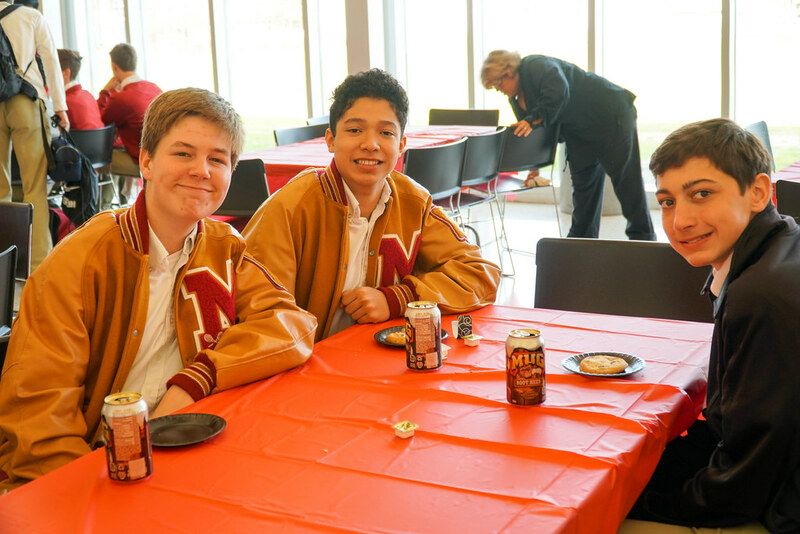 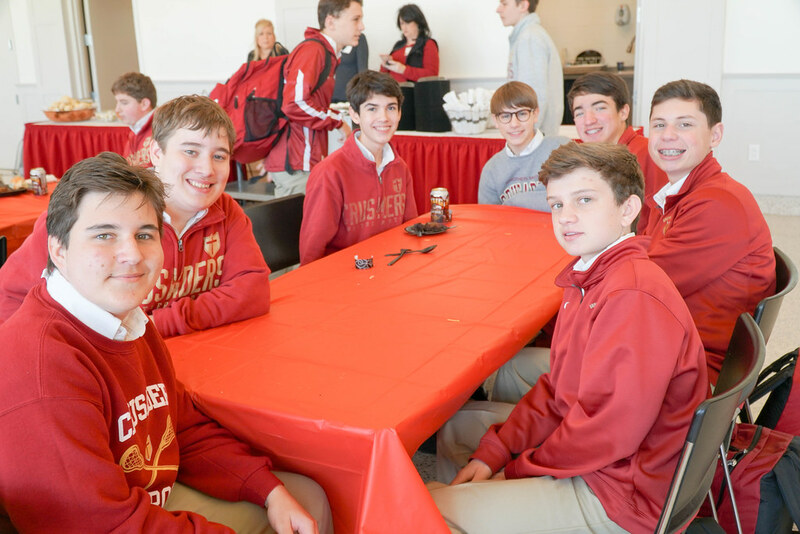 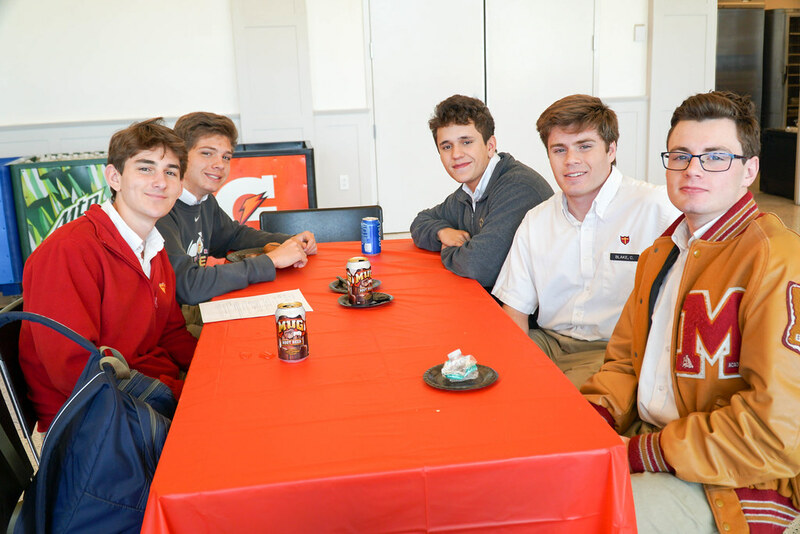 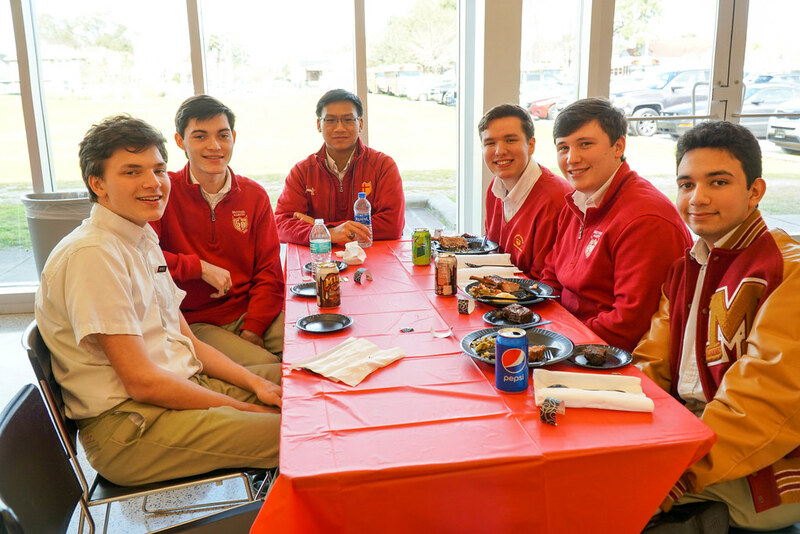 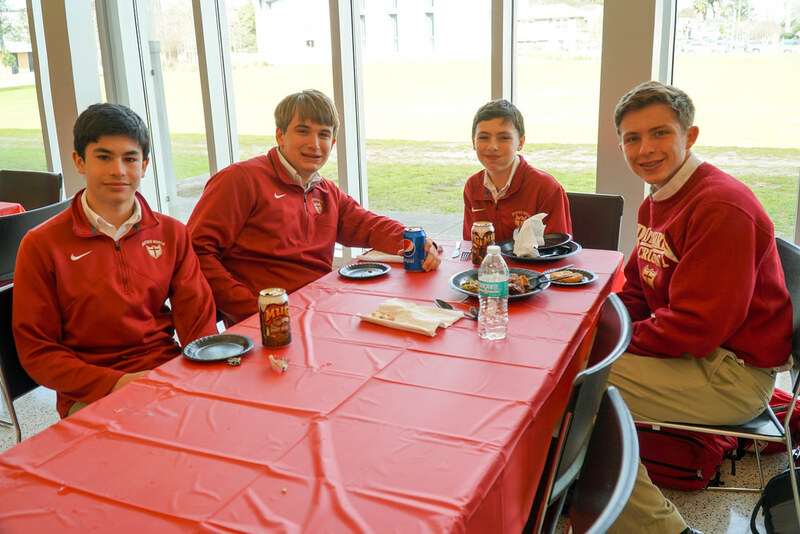 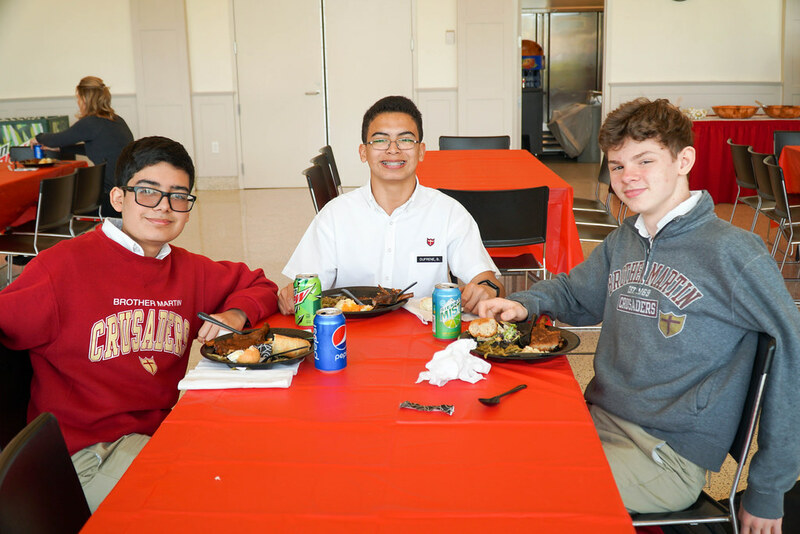 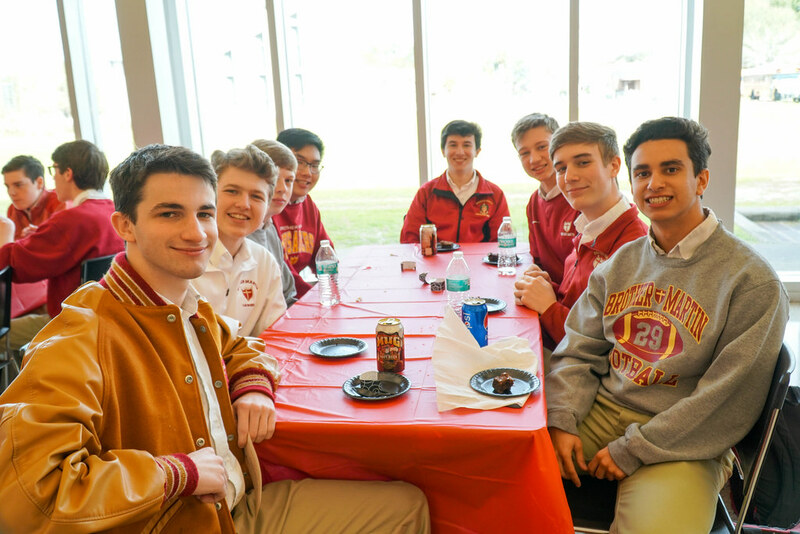 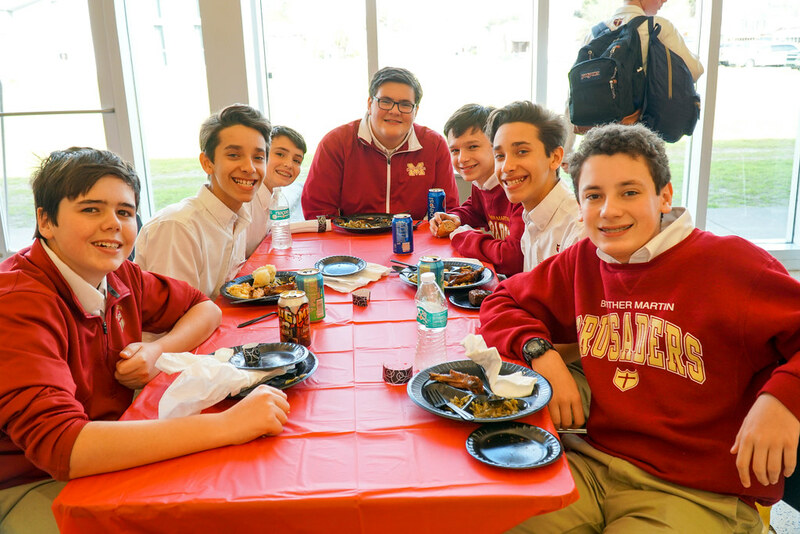 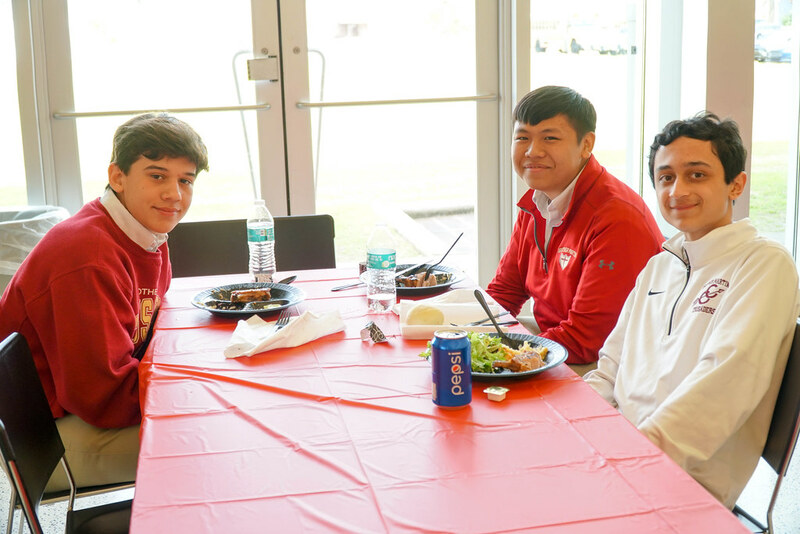 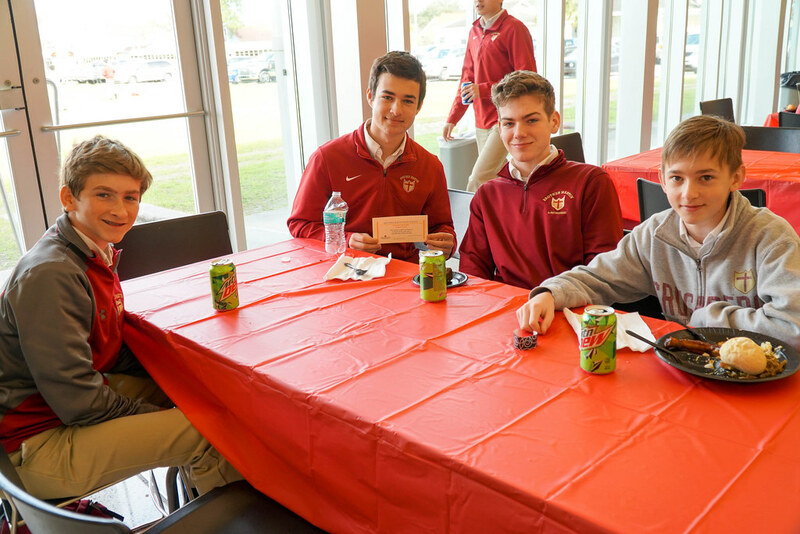 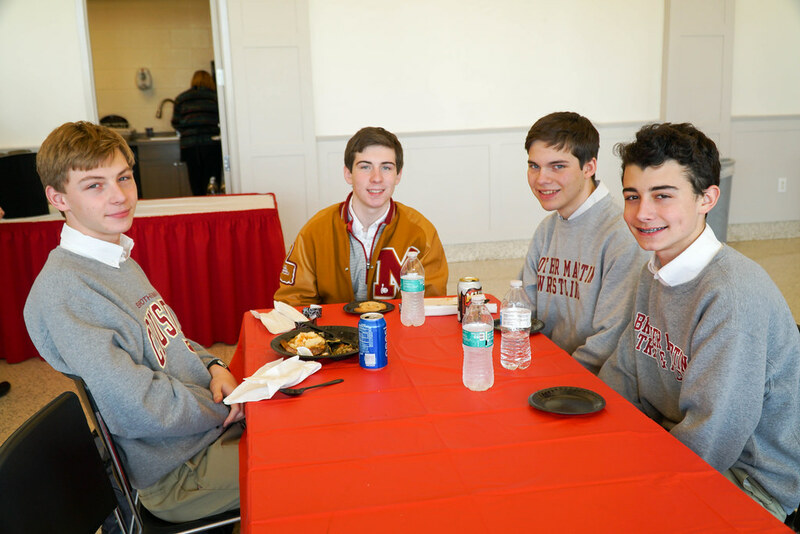 Later in the afternoon, during 4th, 5th and 6th unstructured periods, our students who have earned the honor of Principal’s Honor Roll were welcomed to a complimentary lunch in the terrace. 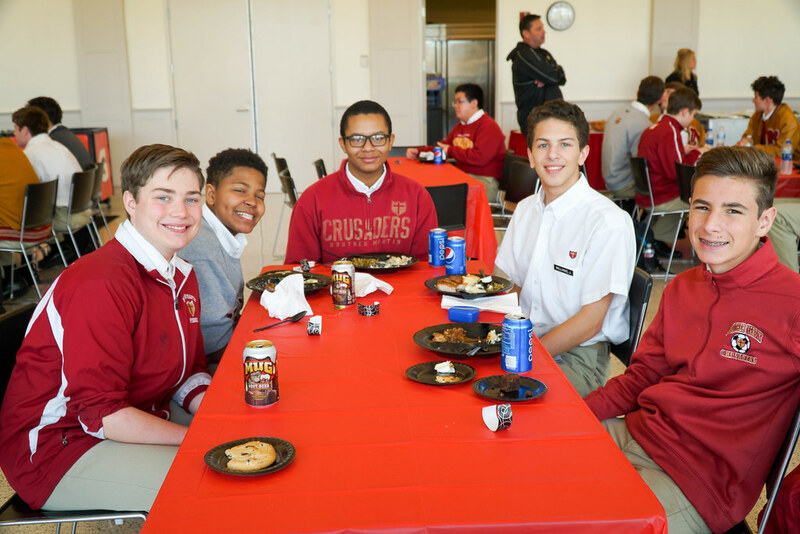 In order to be a part of the Principal’s Honor Roll, these Crusaders must maintain a 4.0 GPA or higher for the first semester. 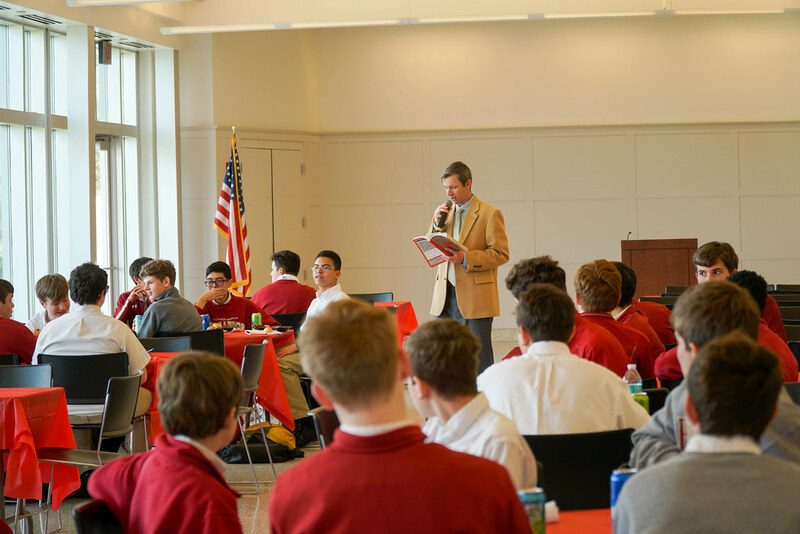 Mr. Gallagher, Mrs. Broussard, Ms. Wild, and Mr. Rando welcomed the students and assisted with fun games of trivia towards the end of each lunch. 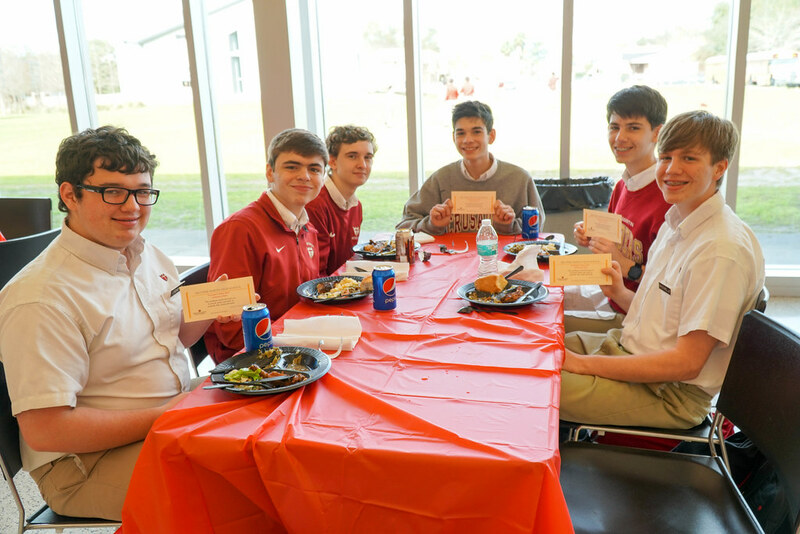 Each student who answered a trivia question correctly was awarded with a free lunch in the Benson Mall. 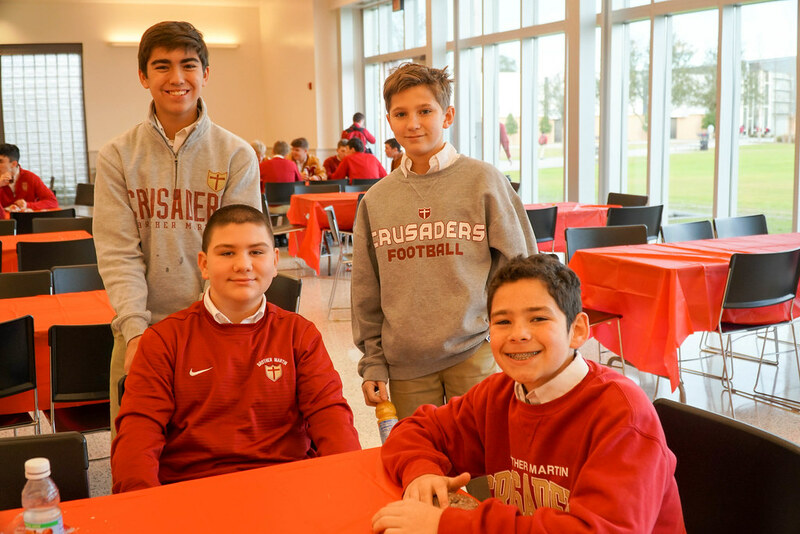 Congratulations to all of our honor roll Crusaders on their outstanding academic achievements this past semester!